Slovakia will have singles semifinalist at the biggest clay court tournament in Slovakia EMPIRE Slovak Open 2018. 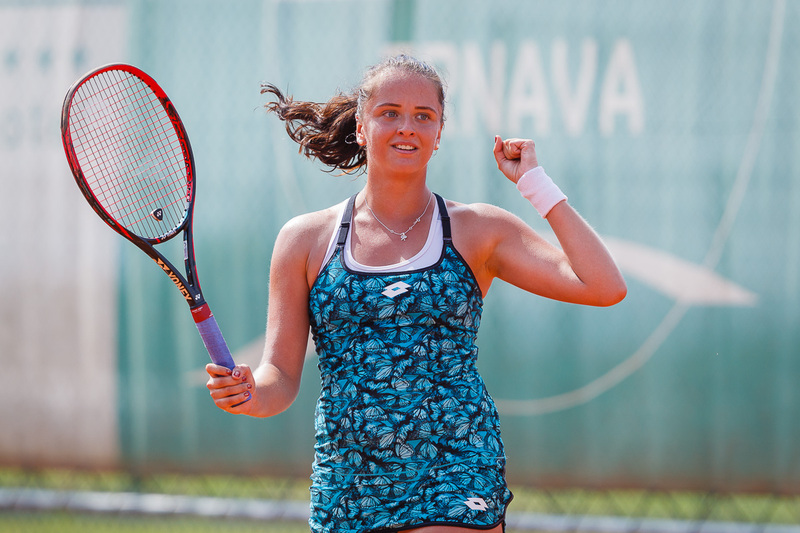 Viktoria Kuzmova was successful today at both her matches, first against Madison Brengle (USA) 6:4, 7:6 and then she also defeated number 1 seed Johanna Larsson (SWE) 6:0, 7:6. Kuzmova played her quarterfinals match against Johanna Larsson, number 1 seed from Sweden 6:0, 7:6 (4). "I am glad I played very well today in both of my matches. Maybe even better In the second one. It was difficult to prepare immediately for the next match in the same day. It’s not often the case when you play two matches in one day but unfortunately the weather was not playing with us in previous days. I started well, my opponent was out of chances in the first set. Then small things decided in the second set, especially at the very end of it," said Kuzmova, who won the first set in 19 minutes only. "I made almost no mistakes in the first set, I played aggressively. Then she started to serve much better. I did not know what to do with it. I’ve already played matches when I won the first set very easy but then it started to be much harder. I was fired at start of the match, everything was going for me. Then just small things decided." She will face in the Saturdays semifinals Jekaterina Alexandrova of Russia. "I will try to have fun in the semifinals and to get myself ready for it. I still have to play the doubles quarterfinals on Friday," she added. This doubles quarterfinals match Kuzmova, Mihalikova (SVK) - Moore (AUS), Voskoboeva (KAZ) was suspended at 4-4 in the first set because of rain and will resume on Saturday, too.